As I so often say, Ireland is one of the most beautiful and magical places on earth. The Irish are so keen to show you that and invite you to the country that they are ready to paint the world green! Learn more about the Greening Season 2013 campaign for Ireland tourism from the fun video below and see the world get green in the honor of Saint Patrick. Now is the time to travel to Ireland if you want a fun vacation! 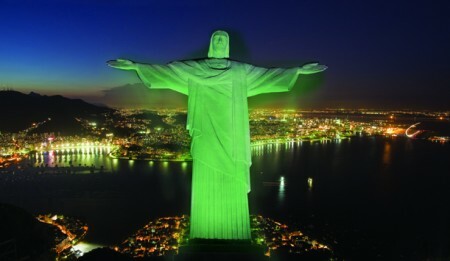 More than 70 of the world’s most famous attractions went green for this year’s Saint Patrick’s day. This was the biggest of such initiatives so far, the best example to that is the number and name of the sites that became green to promote Ireland. 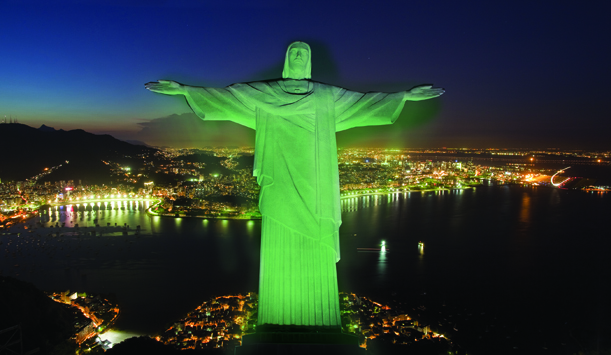 In 2013 one of the seven wonders of the ancient world, the Great Pyramid of Giza as well as one of the wonders of the modern world, Rio de Janeiro’s Christ the Redeemer also became green. But the organizers did not stop here, they covered in green light everything from the London Eye to the Sydney Opera House, from the Little Mermaid statue in Copenhagen to the Niagara Falls, from the Oriental Pearl TV Tower in Shanghai to the Empire States Building and from the Leaning Tower of Pisa to the Auckland Museum in New Zealand. The other idea of the whole campaign is to inspire people to come up with the craziest, most fun and most creative ideas for greening stuff – as you can see it in the video. Some people, like Sir Richard Branson, founder of the Virgin Group has painted his hair and beard green for the cause. Others have even wilder ideas, like painting a group of sheep green or making a fully green Rubik’s cube – surely not so hard to solve it! 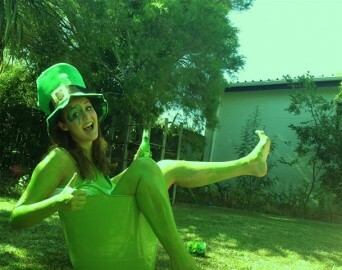 What would you make green for this amazing Irish holiday? Would you walk around with green hair or skin? 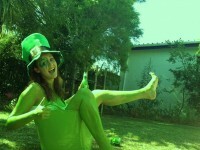 Or you have some other creative and crazy idea about how to paint the world green? Let me know in the comment section if you have any ideas for a greener world – literally this time.